Warm-weather days and evenings are precious in Chicago and there’s no better place in the city to enjoy them than the Chicago Riverwalk. 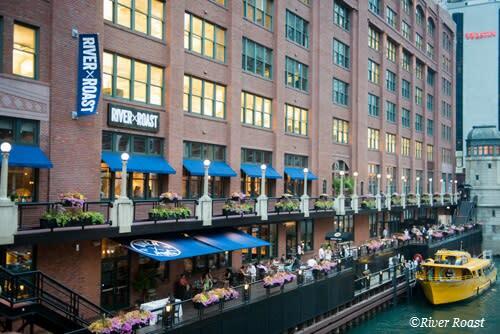 With its picturesque waterside dining and cocktail spots, these nine Chicago Riverwalk private party venues will treat your guests to amazing city views and a slice of Chicago summertime paradise. 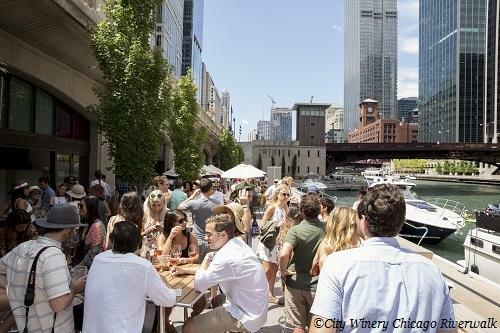 Plan a reception for up to 200 guests in the breezy wine garden of City Winery Chicago Riverwalk. You’ll have semi-private use of the outdoor City Winery Riverwalk space and unlimited offerings of four City Winery wines, such as the house Riverwalk White or Rosé, and two craft beers throughout the event (spirits can be added for an additional charge), with dedicated staff.The basic Mediterranean menu choice of seasonal crostini can be upgraded to include mini sandwiches like the Greek Panini layered with marinated artichoke hearts, olive tapenade and herbed goat cheese; perfect for a summer party. Get your guests in a tropical mood at Island Party Hut Tiki Bar and Grill. Host an event for groups large or small on one of the two tented decks or along the riverside. Guests can listen to live island music (Thurs.-Sun.) as they munch on dishes like slow-smoked pulled pork sided with refreshing fruity cocktails. Or take your party on the water and rent one of the 10 vessels offered by Island Party Hut, from tiki party boats with waterslides to the Island Time that can accommodate up to 90 guests; 58 seated in the main dining room. 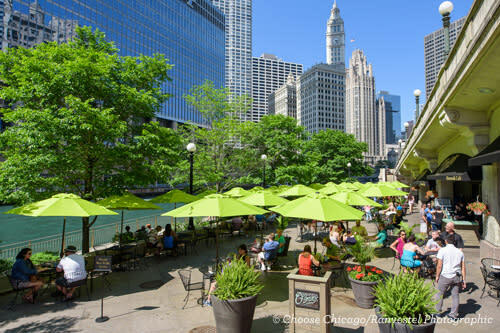 Cheery yellow-umbrella-topped tables will greet your guests at O’Brien’s Riverwalk Café, one of the first restaurants to join the Chicago Riverwalk. O’Brien’s can accommodate parties from 10-200 at its semi-private alfresco café space, with the option of an interior room that can hold up to 25 guests. O’Brien’s is geared to a cocktail reception set-up with buffet and full bar (O’Brien’s vodka lemonade is a signature), but can provide limited menus for up to 30 guests. Popular menu items include steak sandwiches and mini Angus beef cheeseburgers. 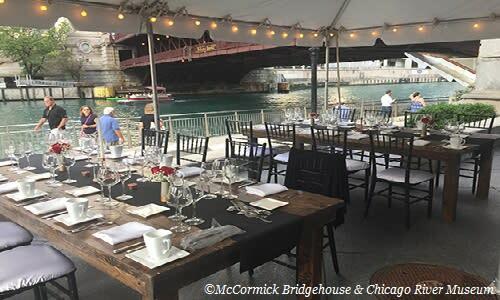 Immerse your party in Chicago history at the McCormick Bridgehouse & Chicago River Museum. 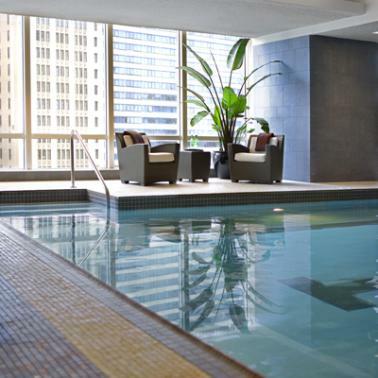 Nestled inside the southwest tower of the Michigan Avenue Bridge, your guests will marvel at the massive gears that power one of Chicago’s most famous movable bridges. Perfect for dinners, cocktail parties and “bridge lift breakfasts,” the museum is made up of five compact stories totaling 1,200 square feet, with a capacity for 79 people. 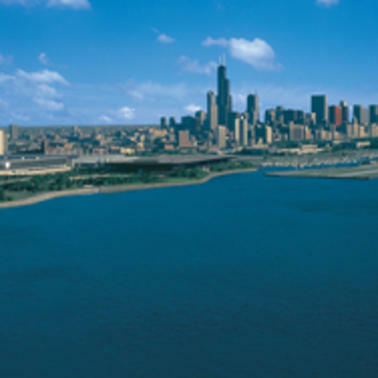 Museum rental includes use of a private riverside plaza with spectacular views of Chicago. Planners can work with their own caterer or choose a preferred option, such as Blue Plate Catering. To schedule a venue tour, contact Joanne So Young Dill at 312-939-0490, ext. 23. 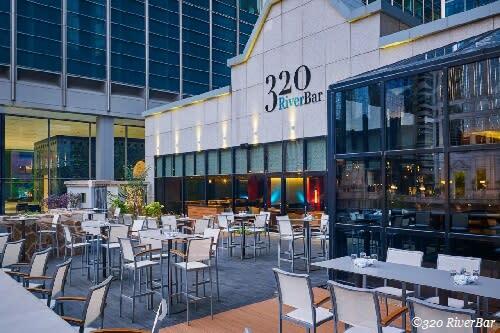 Your party can soak up the beautiful Chicago River view as they enjoy cocktails and bites at 320 RiverBar at The Westin Chicago River North. Rent the entire outdoor patio (for up to 150 guests) that overlooks the Chicago Riverwalk and features a unique graffiti wall created by renowned graffiti artist and Chicago native Mario Gonzalez, Jr. The menu includes dishes such as rock shrimp ceviche, roasted summer mushroom flatbread and organic crispy chicken breast. River Roast offers dramatic views of the river and city skyline both indoors and out. James Beard Award-winning Chef Tony Mantuano and Executive Chef John Hogan have created a menu of contemporary American tavern fare, with meat (like roast beef and rack of pork), fish and veggies all roasted and carved table side. River Roast offers six different spaces within its historic loft-style building, accommodating up to 750 seated; 1,000 reception. 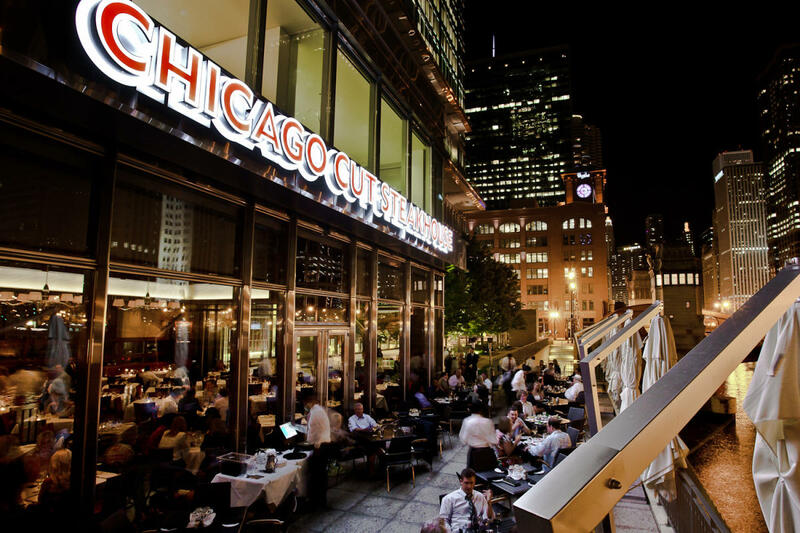 Chicago Cut is a serious steakhouse, featuring its own butcher and dry-aging room, not to mention a dazzling view of the Chicago Riverwalk from inside the restaurant or on its outdoor patio. Your guests will be treated to old school steakhouse sophistication in the private dining room that can accommodate up to 100 people. Indulge in a menu that includes the requisite prime filet mignon, along with seafood and chicken options. 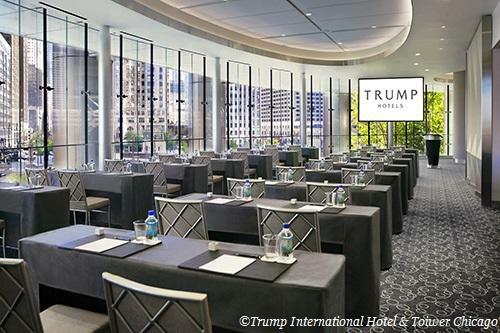 The sumptuous Trump International Hotel & Tower Chicago offers several amazing venues (including the rooftop Sixteen), but to experience the excitement of the Chicago Riverwalk book your private party at the Riverside Room. Located right on the Riverwalk, the Art Deco-style room exudes 1930s glamour, and offers outdoor access. Dinner entree options include seared duck breast and parmesan-crusted sea bass, while receptions can include a soda fountain for dessert. The versatile venue can accommodate up to 200 guests for a reception or 144 for a plated dinner. 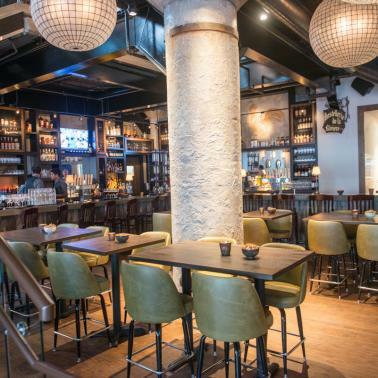 New American pub fare and prime people watching from its expansive terrace make Bridge House Tavern a perfect private party venue on the Chicago Riverwalk. Hold your event on the river-level patio or intimate indoor restaurant, where buyouts of either space can accommodate a maximum of 125 people. Food options can range from passed hors d’oeuvres like veal meatballs to dinner entrees such as steak frites and Calabrese stuffed pork chops.